What are smart devices and best smart home system? Do you remember the James Bond type cool guy you saw in the movies who had a nice apartment with automatic everything? This is now a reality. You too can dim the lights and turn on your favorite Luther Vandross or R Kelly song with a few voice commands or have the lights automatically turn off after you leave the room. This is known as a smart home automation system and smart gadgets are making an ever-increasing presence into our daily lives. Many new smart incorporated products have been introduced in 2017 and there is no sign of this trend letting up in the coming years. In this post we will look at: What are smart devices all about? What are smart devices and best smart home system? 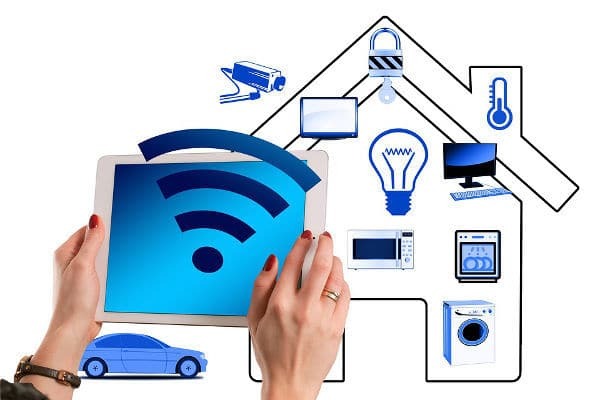 A smart device is an electronic device, that can be wirelessly connected to another smart device or many smart devices via a network to create a smart home automation system. To connect these smart devices there are different wireless communication hardware languages that are used to operate interactively, giving you the ability to automate and monitor a number of different tasks. Below are some of the best smart home systems to automate your home. You already most likely have a smartphone, smartwatch or smart tablet. Smart home technology can connect smart thermostats, smart lights, smart speakers and new smart products are adding smart technology to many different devices. Smart devices can be found everywhere, and some have artificial intelligence to help you with your shopping, viewing habits and many other possibilities you probably haven't even considered. Many people are familiar with "Siri" if you are an Apple device user. The idea of voice command controller is basically the same but Siri is an assistant and you can only ask questions and add notes and reminders. With a voice smart command controller, you can now operate any number of smart appliances, light fixtures, drapes or turn on music. Anything you can imagine can be adapted or will soon be available utilizing this smart technology. What is a smart hub or controller and IOT? Smart assistant and Controller Hubs. Whats the difference? Smart technology is the emergence of more and more appliances and common household items that now have the ability to be connected to the internet and controlled from a smartphone, tablet or computer. The benefits of this new technology are these items we now use every day become even easier and more efficient to use. This will help us save time with many common tasks. It will also save energy by turning off lights or lowering the thermostat when no one is in a room. This and many other daily tasks can be programmed into a smart system. What are Smart Devices and Smart Home Automation Systems? Smart technology is showing up in many old familiar products and devices. For example, smart light bulbs simply screw into a light socket and with a voice command controller and an App you can now control your lights by simple voice commands. Many new door locks now have smart technology available. You can lock your doors by simply telling a smart controller device to “Lock doors” or check and lock the doors after you left the house on your smartphone. Many older devices, if they are on/off operations, can easily be made smart by plugging the device into a smart plugin and now this device can be controlled by a central hub/controller. According to Wikipedia, they define a smart device as an electronic device that connects other devices or networks via wireless connection systems like Bluetooth, Wi-Fi, NFC, 3G, and others. They operate interactively or independently. A number of smart devices are smartphones, tablets, smart watches; smart key chains and more products are incorporating smart technology into new products every day. There are different hubs and controllers available to control a number of smart devices for a complete smart home automation system. Some are simply an assistant with a minimal speaker for function and other devices that have incorporated a smart controller with another device. An obvious device would be a smart assistant with a better sounding speaker. There are a few components that make up a smart home automation system. In this post, I will go through a few of the more popular voice command systems available. I have listed in this article some of the many pieces and accessories that you will need to make a smart home system. To control all these new smart gadgets in your home you will need a smart hub controller. Here is a basic breakdown of what types of smart devices are available and a description on what they can do. Hubs - A truly smart home system needs a main hub to connect all of your enabled devices together. This allows you to conveniently control all your network devices through one channel like a mobile app or the hub itself. Most hubs are operated by smartphones and do not have voice command. This system can easily be expanded by adding more sensors and smart devices to automate a number of tasks in your home. Assistants - An assistant is similar to the hub but with the addition of being able to give voice commands If you have a question, just ask your assistant. Add an appointment to your calendar, check the weather, or tell you a joke. The assistant is always there to help. Assistant hubs are small, voice-controlled computers that you can put in any room in the house and they connect via Wifi for a whole smart home system. Remotes- Remotes are not a new thing but the functions are ever increasing. Remotes now have a microphone for voice command, simplified controls and a screen to further assist you. TV controllers are tied into smart home systems as an alternative to voice command and sometime a remote is needed for some programming were voice commands don't work. .
A language known as the "IOT" internet of things a free web-based service developed to create chains of simple conditional statements called applets. "If this then that" also known as "IFTTT" Is the actual things in the network. Like vehicles, home appliances, lights and more. These "Things" are embedded with electronics, sensors and actuators that allow these items to connect with a central hub or controller. They are then uniquely identified and now can be programmed and controlled by a connected smart-device or computer. Connection to main hub can be directly hard wired or connected wirelessly using Wifi signal or Bluetooth. How a smart Smart Hub works is by communicating back and forth with various connected devices. Smart hubs speaks a certain type of language and it can communicate with a number of other devices that speaks that same language. If the language is not the same they will not work together. To further confuse things system language IOT (protocol) used for compatibility are a named after a smart product's name brand. If you want to build a really smart home you will want to choose a standards-based system. This will make it easier to add different products made by different manufactures as you add more things to your system. Two very popular protocols to look for are Z-Wave and Zigbee. Most of the other names are related to the brand name. Zigbee and Z-wave are really just frequencies that you can find in many brands that are offering smart devices. They are not brands in themselves, and that anything that is not on a specific Hub companies products page online is not guaranteed to be able to connect. What makes some hubs controllers better than others is they are more compatible and have more smart capabilities than other entry level hubs. They can perform more programmable tasks and designed to be hooked up to multiple sensors and switches. Assistant and Controller Hubs. What's the difference? For example the Amazon Echos "Alexa" is basically more of an assistant that you tell it to do something and it will perform that command. Other hubs like the Samsung Smart Things and the Wink Hub 2 are hub controllers that you can now set tasks to be done at different times, various types of sensors can be added and the Smart Things and Wink Hubs are compatible with more IOT networks. So depending on what you want to do and how large and secure of a automated smart home system you would like to implement then choosing the right Smart Hub/Controller can make things work more smoothly. Many companies limit their protocol so you have to use their products. This is why looking at what you want to do first and the support accessories that are compatible to the system is an important step. Some brands are less compatible and more expensive with varying quality. You may be locked into an accessory eco system that is not compatible with the products you want to incorporate into your smart home. The good news is the price of many smart assistants can cost as low as $35 dollars and many good smart hub controllers are going for around $100. The accessories is where they get you. There are many smart accessories available for a few dollars and can be added to a smart system like switches, dimmers, actuators and lights. Full size appliances with smart capabilities costing thousands can also be purchased along with many new smart products everyday that are coming to market. Smart devices need a central controller to operate things. As mentioned earlier all Smart Controllers are not created equally. Here is a basic description of a few of the most popular models and what their basic compatibility with other smart devices. See what accessories you would like to include and check for compatible with a particular Hub. Wifi: A incoming internet signal that is connected to a Wireless Router that transmits a WiFi signal to a limited area. Computers, smartphones, or other devices can now wirelessly connect to the internet or communicate wirelessly with other devices. A good Wifi signal is a must. See my Ultimate Router Placement Tip Guide to get the best router signal in your home. Bluetooth: A short-range wireless interconnection of mobile phones, computers, and other electronic devices. Z-Wave: A protocol for communication among devices used for home automation. It uses Radio Frequency for signalling and control. Z-wave was developed by Zensys, Inc. a start-up company based in Denmark. Zigbee: is an open global standard for wireless technology designed to use low-power digital radio signals for personal area networks. Zigbee operates on the IEEE 802.15.4 specification and is used to create networks that require a low data transfer rate, energy efficiency and secure networking. Lutron Clear Connect: Lutron is one of the first companies to develop a dimmer switch in the 1950s. This is a protocol that was developed with extensive testing by the company. This wireless protocol is a highly reliable Radio Frequency technology that ensures seamless communication between Lutron system components. This systems operate on a quiet frequency band that is essentially free of interference, so your system won't be affected by a neighbour's signal. Kidde devices: Kidde also is a company. They first came out with a smoke detector way back in 1917. They have since developed into a home security and safety company and have developed their own protocol. So as you see from the list above that their are a number of compatibility issues to consider. Picking the right ecosystem can make building your smart home system easier. Think about how smart you want your home. Security systems require special considerations and choosing the right protocol can make a big difference in the overall security of a system. Relying on Wifi for a security system can easily be done. But the overall system can be shut down with no WiFi. 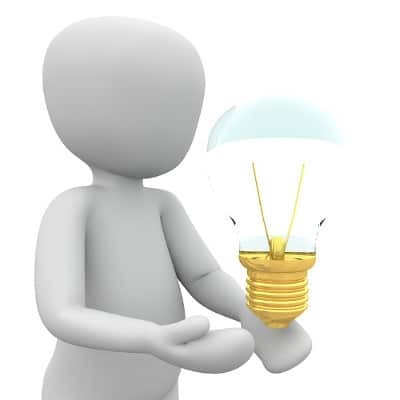 A power outage will disable a Wifi security system whereas a using a wireless Radio Frequency protocol like Z-Wave or Zigbee if they have a onboard backup battery the security system will still work. The Samsung Smart Things and the Wink Hub 2 are smart controllers. If you want to get really serious and set up a number of smart functions in your home for a complete smart home automation system you will be happy with the Samsung Smart Things or Wink 2. These systems are more compatible with many IOT systems. They are more versatile, expandable and have a lot more functionally than many of the basic assistants that are onboard many smart assistant devices. Software changes are being constantly made and compatibly issues will be improved as smart technology develops. Consumer feedback and product user demand will help shape the end user experience. Here are a number of Smart controller hubs and assistants on the market and the IOT networks they are compatible with. The Samsung Smart Things came out a few years back with a successful Kickstarter campaign. This is a designated smart hub controller that can integrate with many others systems. Smart Things bought up by Samsung and now this system is being integrated into all Smart Samsung products like TVs, appliances and many others were wireless controls are possible. This unit is compatible with a very large range of language protocols. This is another designated Hub with no real speaker considerations but as with the Samsung Smart Things the ​Wink Hub 2 allows a broad range of smart products to speak the same language and easily control them with their free Wink App. This unit is know for its ease of use and auto-discovery setup process that makes getting your smart home up and running with minimal technical knowledge. Very user friendly. Also very compatible with a broad range of systems. The changes in the last few years to the basic smart hubs assistant has been a dramatic improvement in sound quality, sizes available and overall smart speaker selection. I see in the coming years no letting up on smart technology, in fact, we will see it incorporated more and more into our everyday lives. Here are a few examples of companies combining the basic assistant with their own speaker technology. You can get the basic Amazon Echo Dot and the Google Mini on sale for under $50. Smaller smart speakers like the Amazon Echo and Google Home go for around $100. For a big audio sound larger smart speakers can go up to around $400. Medium size smart speakers are also available for around $200. Click pictures below for current pricing and sales. Keep in mind that the voice command hub operating system in the Amazon Dot and Google Home Mini are exactly the same as in larger smart speakers. The operations are the same but what you are paying for and getting is a larger better quality speaker. Size and price can vary. So if you are not interested in playing much music or you are not concerned about sound quality then save your money and stick with a basic controller. If you already own a Bluetooth speaker you can utilize that for better sound and link up with your smart hub. Smart Assistant is Amazon Assistant. Say "Alexa" and ask a question or give a command. Controllers like the Amazon Echo and Amazon Dot with their Alexa have been around about 3 years ago but seems to have made a big splash in 2017 with their improved 2nd generation versions. Starting with the Echo Dot that is simply a voice command unit with a very minimal speaker for Alexa to communicate back to you. The Amazon Echo and Echo Plus are larger than the Dot but a better quality speaker has been added for better sound. The Amazon Dot and Amazon Echo have done a good job of bringing smart technology to the average consumer. Alexa has become one of the smooths operating voice command systems on the market. Google Assistant is not quite as good at the moment as Alexa, but improvements are being made everyday and who know what changes and improvements a year will bring and narrow the performance gap. These operating systems are two of the most popular voice activation softwares that many consumers are familiar with. Many are familiar with "Siri" ,but she is a little different than the voice command controllers. Last year other manufacturers are also bringing their version of a smart speaker out into the market. Not just being a functioning voice command device with a subpar speaker. 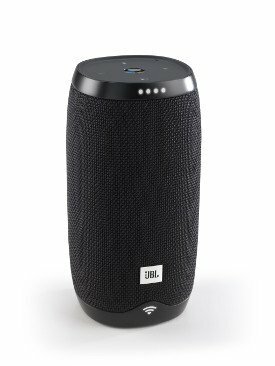 Manufactures like Google, JBL, Harman Kardon, Bose have all new smart speaker entries. Sound quality and size are now adding to the selection with bigger speaker models coming out that incorporated Smart technology. Smart Assistant is Google Assistant. Say "Hey Google" and ask a question or give a command. 2016 Google has entered the smart hub market with their Smart Home Mini and their Smart Home operated by Google Assistant. Google has their own voice command system. Instead of saying "Alexa" you say"Hey Google" and give your command. 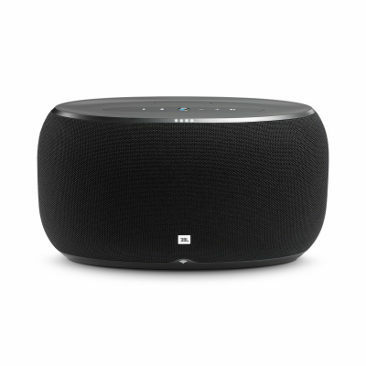 They also recently released the Google Home Max a large size speaker that can really pump out the beats. Microsoft's Cortana. Say "Cortana" and ask a question or give a command. Amazon Assistant. Say "Alexa" and ask a question or give a command. Another entry into the smart speaker hub market is Harman Kardon. They introduced a year or so back the Harman Kardon Invoke The Invoke uses Microsoft's entry into the smart assistant arena with their Cortina assistant. Not as popular or universal as the Alexa and Google assistant. They recently released the Harman Kardon Allure a powerful speaker that is paired with with Alexa Smart Assistant. Again, this is a audio company that is combining their excellent speaker technology with a smart assistant and have come up with some very impressive sounding speakers for a reasonable price . * Great entry level smart assistant with improved speaker quality. 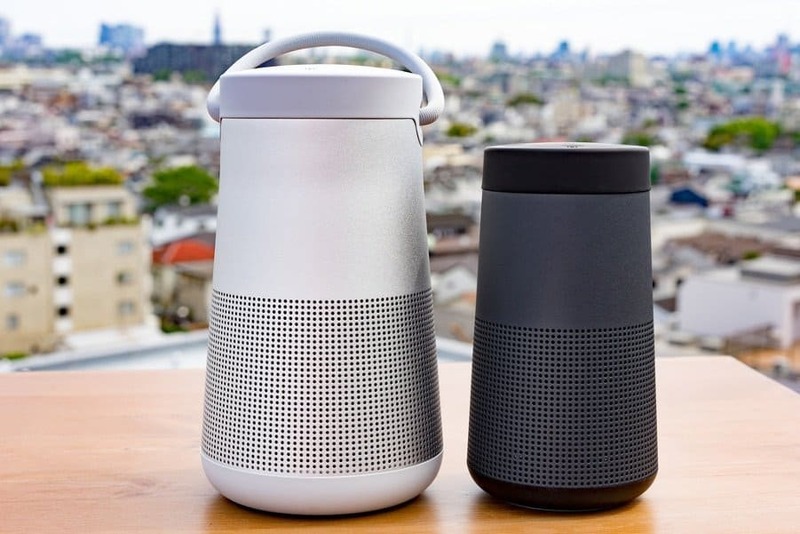 Bose first entry into the smart speaker market was their Bose Revolve and a bigger speaker the Bose Revolve Plus. They have combined their signature speaker technology with a smart assistant. Great sounding speakers with Alexa to talk to. Protocols from the Amazon Alexa, Google Home, Samsung Smart Things and Wink Hub. The easiest way to keep things compatible is to stay with the same brand throughout your house. This will make it easier to trouble shoot when problems arise. Light bulbs and smart switches can be added gradually to your home and do not have to be done all at one time. If you are totally new to Smart home integration and a DIYer I would recommend adding to the system overtime. There is a learning curve and many options and variables to decide. A full system especially installed by a homeowner will most likely have a number of issues. You may get overwhelmed with the programming and have an automated system setup that does not operate affectively. Some Smart Hub manufactures have starter kits with a variety of accessories and hub that will be guaranteed compatible. Smart light bulbs are an obvious place to start with smart home controls and best of all it is an easy installation. Its as simple as screwing in a light bulb and download an App. Prices start at around $15. Really not that much more than regular LED light. See what Amazon has to offer. A smart socket adapter is also an easy way to start your smart home. Simply plug in an adapter into an existing outlet then plug in your device into an adapter. Now that adaptor can be controlled by a smart hub. Check for compatibility with your hub system. Price per smart socket adaptor is around $10 to $20. Purchasing a multipack is the better way to go. It further reduces the cost and most likely you will want to have a number of devices operated by your smart system. You probably already have motion sensor lights in your home right now. The smart motion detector can be set to turn heat and lights off if someone leaves the room for a certain amount of time. Security applications are obvious one and when it detects motion can activate any number of devices. Smart motion sensors start at around $20 to $30 per sensor. Many have onboard batteries and can be easily hung or placed in any location that a sensor is required. will give you a number of plugins to control many devices in your home with a smart hub. This is where things can start getting expensive. Each smart power socket can cost close to $50 dollars each. Add the price of installation if you can't do it yourself. Smart switches and dimmers are also another relatively easy upgrade to a smart home system for someone with wiring skills. If not have an electrician or handyman do it for you. Like the smart wall sockets, smart switches and dimmers are not cheap. Each switch starts at $15 and can go up from there. Dimmers switches can easily go up to around $50. Stick with the same brand smart power sockets and smart switches and dimmers to insure a standard protocol for less communication issues. Security is a big reason people are choosing to make their homes smart. Adding smart locks and smart sensors on windows and doors can greatly add to the security of a home. Doing a security system yourself can save you ongoing monthly fees that security companies charge for their services. Installation and setup can get a bit much for some and could be difficult for the average consumer to install correctly. Connecting sensors, locks, lights, doors etc can get complicated and making it work all together can be another challenge. Keep in mind basing your security system on only Wifi connectivity is not the most secure. No WiFi no security system. Power outages will shut down your automation and security. Security companies install and maintain their products, monitor your home and call 911 in case of an emergency. They also operate using radio frequency and can maintain a secure home in the case of a power outage. This will give you a great base to build your smart home system. Plugin setup. No wiring required. What are smart devices all about? Here is a video of what smart home devices can do. It is a review of the SmartThings Home. This video is a little long but a good reason to watch this video is you will get a really good idea of the numerous possibilities a smart home system can do, almost to an absurd level. You will need a good strong stable Wifi signal to work in all areas of your home. Dead zones areas with a bad WiFi signal will have intermittent or no controls on smart devices relying on Wifi for connectivity. Good router placement is very important. Repeaters, extenders or a mesh network can give good Wifi coverage over a large home. See my Ultimate Router Placement Tip Guide to get most out of your router. So there you have it. Smart technology is great but it can get complicated. There are a number of accessories and applications to consider before making a purchase. I have tried the best I can to hopefully help you understand what smart devices are all about? Any feedback from users or experts that could help this post are welcome. I will add this information to this post to help others. I tried the best I could to list compatible brands and protocols but some products may vary. Choose a protocol and stick with it for best compatibility. I suggest getting started slowly. If you purchase a basic smart assistant keep in mind you can most likely still use that device as you grow your system. The smaller voice activated assistants can be used in another location and connected to a main smart controller. A basic Amazon Dot or Google Home Mini cost under $50 and can give you a starting point for a basic smart system. If you are more serious, the Wink 2 and Samsung Smart Homes is probably a better way to go. Many of the systems mentioned in this post will most likely improve in the coming years with software and hardware updates and increased compatibility will improve. Increased consumer demands and user feedback will fuel these improvements and smart technology will get easier to use and more intuitive in the very near future. W﻿hat Are The Benefits to Using Streaming Media?